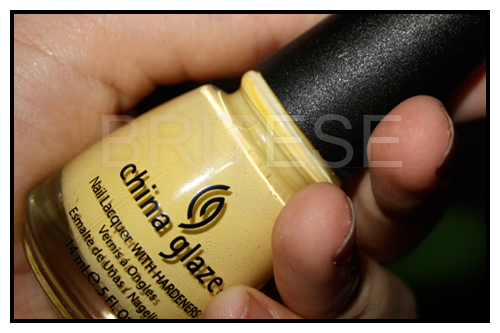 This months nail trend is all about yellow nail polish! And i was going through my nail polish mini collection and decided to go for China Glaze in Lemon Fizz no 871 to follow the trend for a couple of days. 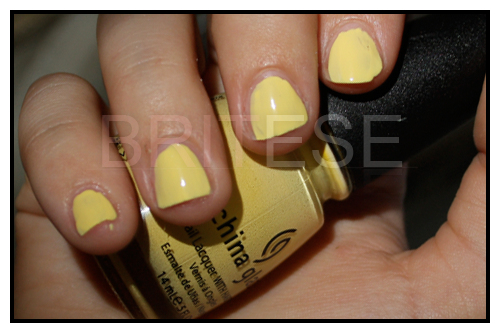 I have seen this yellow phase through out the likes of Hilary Duff and Rihanna and all other celebs and bloggers! And it looks gorgeous for Summer! Have you tried/used anything bold for summer yet? I have this shade and it reminds me of lemon ice cream! Love it! Hi Stefy, this shade is so cute! I have OPI's Banana Bandana and it looks similar to this. I love this shade! Bright colours are defintily in fashion this year. I'm loving yellow nails at the moment:) So gorgeous and summery! I love yellow nails.. They're so summery and just really funky!